Life Insurance - A Little Story of State Farm Insurance . This message was left on my voice mail. I continuously called requesting to speak w/the adjuster and Mrs. Dorothy M. but I did not get a call back. "Totally Ignored" no one at State Farm Insurance was willing to give me insurance information about the contractor Mr. Rollins and I was told to get in touch with the same person who will not call back in this case Mrs. Dorothy M. I called her office, her direct line, her cell phone and I was given another number to call but NO return of my calls. In November I decided to do my own homework and called a few contractor for estimates to fix the roof, at this time I had the opportunity to get on top of my roof and with the roofer I looked around visualize the actual damage of my roof as we inspected outside and inside of my home. "Mold had set up and the were visible damages in the interior of the house, I even felt the wet boards inside of the house. None of this damage was inspected by neither State Farm Insurance or GA roofing contractors. GA roofing personal ever denied agreeing with State Farm Adjuster Mr. ******* they also drop my claim, b/c they could not proceed with little money that would not even cover all the material needed, neither couldn't get in hold of Mrs. Dorothy M. to revise the insurance claim. I was not even granted money for a dumpster. 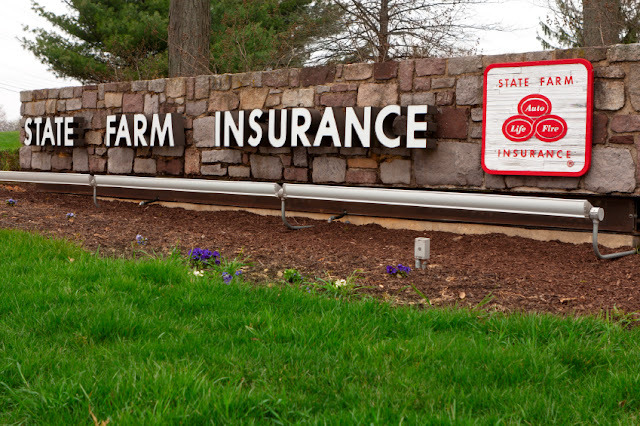 State Farm proofs that they are not a insurance company you can trust, I should not have to call over 20 times "with proof of calls" to just be ignored. I have no rights according to this adjuster, to request what I think was and is fair. I am not there for profit. I even requested that the adjuster from State Farm Mr. ******* can come up to my home and fix the roof with the money agreed should be granted to repair. 0 Response to "A Little Story of State Farm Insurance"